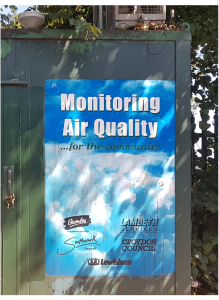 Five boroughs meet at Crystal Palace, and due to funding priorities changes, in 2010 our cross border automatic air pollution episode monitoring station was closed down on the Parade. 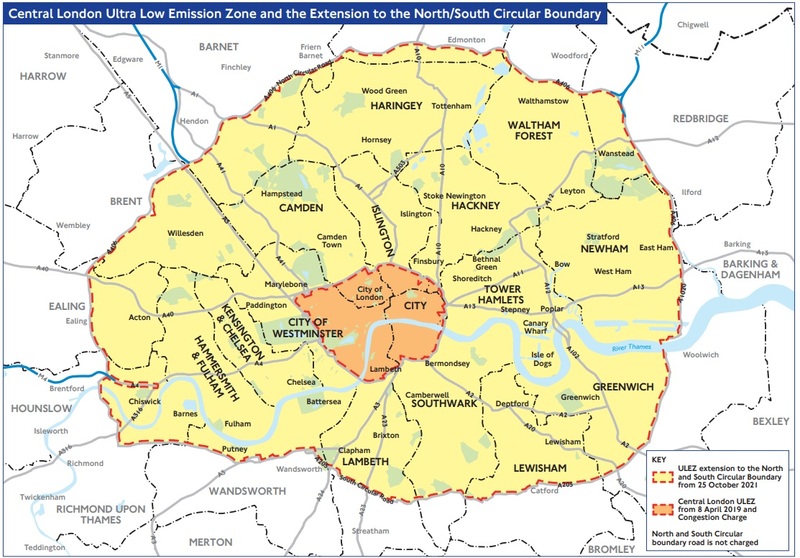 This means the public in this area of London have more limited pollution episode alerts based more on modeling forecasts. 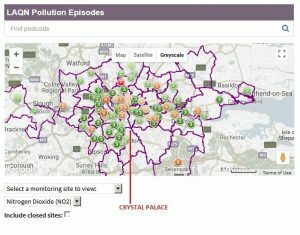 This also means we have less accurate hot spot pollution level alerts for our unique local geography, and less monitoring for particulates from the London Air Quality Network (LAQN) pollution episode service. Automatic air monitoring methods are more accurate and have better time resolution, typically providing a reading every 15 minutes. LAQN FAQs here. 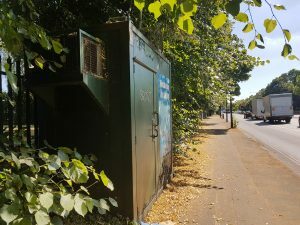 Crystal Palace is unique in London as three legislated Strategic Road Network (SRN) routes all meet here (connecting outer London A-Roads with inner London A-Roads). 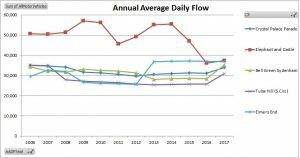 The latest DoT traffic count data for 2017 shows the Parade carried over 34,000 vehicles a day (Annual Average Daily Flow, AADF). This is higher now than the South Circular at Tulse Hill or Forest Hill, and one of the busiest/worst site’s in Southwark for traffic volume. Click here for interactive traffic count map of traffic count points on major and minor roads. 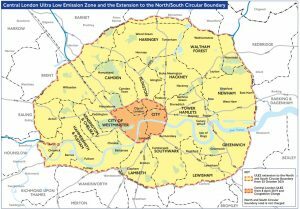 The increase in local Crystal Palace Parade traffic is before the new central London Ultra Low Emission Zone (ULEZ) comes into force with its inner London boundary on the South Circular. 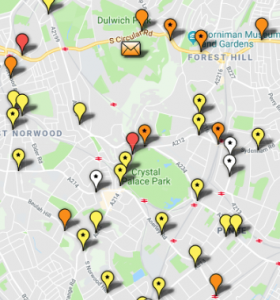 The nature of multiple A roads (A212, A2199, A234, and A214), three SRN routes, and rat running side streets, all meeting at Crystal Palace, it means the road network here is very “traffic sensitive“. 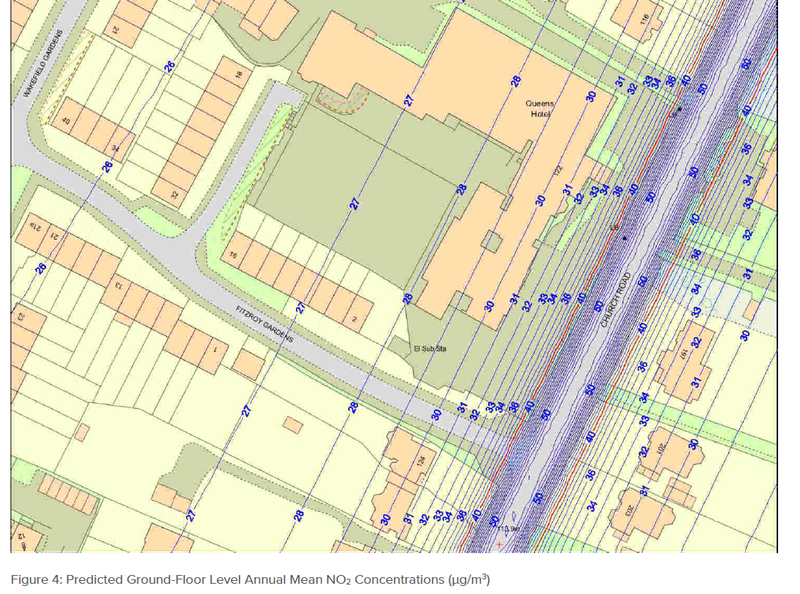 Traffic hot spot episodes are common from minor or major road works in any of the 5 adjourning lcoal Boroughs. Improved highways roadworks management is essential to miniumse local disruption, and this could be incentivised under upcoming Lane Rental charging. 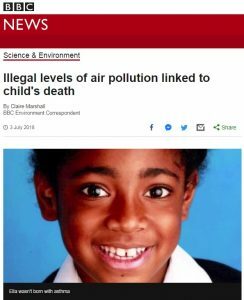 Severe respiratory illness is a recognised disability, and air pollution can sadly worsen asthma and other illnesses, and more links are being made with air pollution as a contributory factor. We can’t easily reduce traffic volume on major roads locally, but we can plan better. Additionally, by having accurate, local and current pollution LAQN episode alerts (including for hot spot emergency pollution levels) it can mean the public can take immediate action. If you are in Southwark, Bromley, Croydon, Lewsiham, and Lambeth you can contact your Elected Representative (details here). 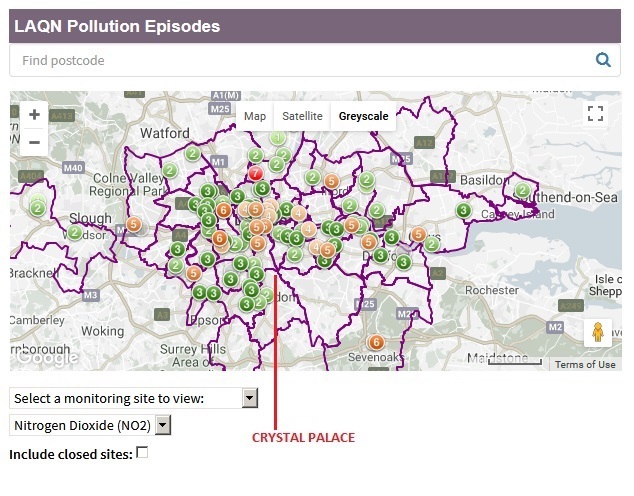 There has not been joined up, nor strategic, approach to LAQN air pollution management at Crystal Palace. 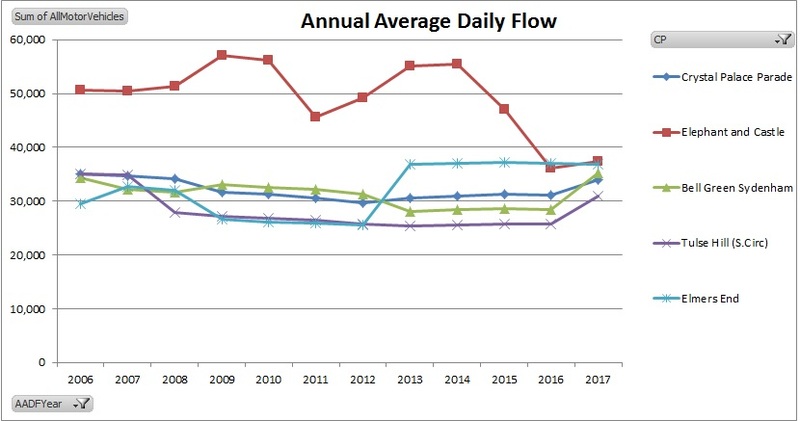 Peak daytime or daily air pollution levels are not known for our major roads, our town centre and gyratory system or bus station, nor do we have overall reporting of local respiratory health issues. As of July 2018, most air pollution results for 2017 remain unreported by our local boroughs. Southwark’s last report for Crystal Palace Parade (Nitrogen Dioxide Diffusion Tube Results 2016 site SDT48 and previous reports) shows year on year, month on month, air pollution exceedance for NO2 are well above permitted safe and EU levels. The Mayor of London is piloting the AQMesh air quality network for London in 2018. 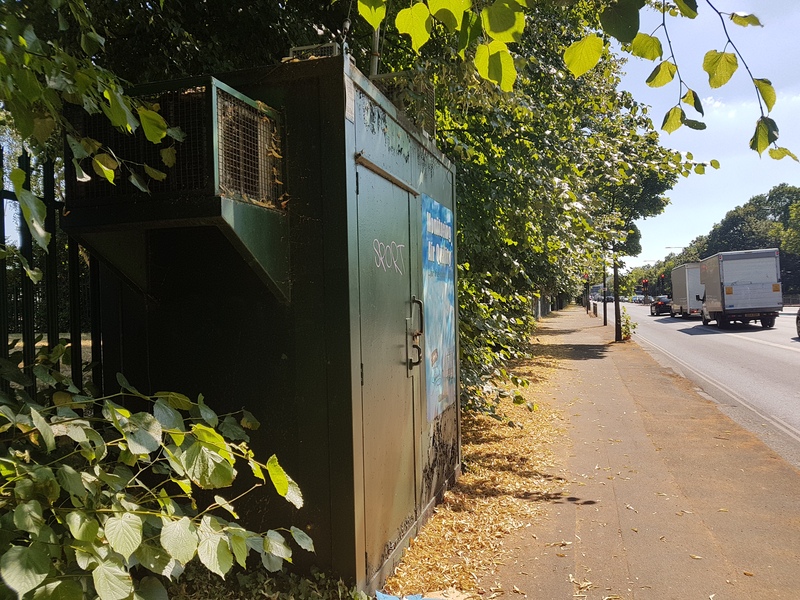 A consortium involving academia, an environmental charity, and commercial partners will install a network of 100 multiparameter AQMesh air quality monitors. Monitoring sites have not yet be agreed. Monitoring Air Quality… for the community – the automatic LAQN cross border Crystal Palace Parade real time air monitoring station was closed down.